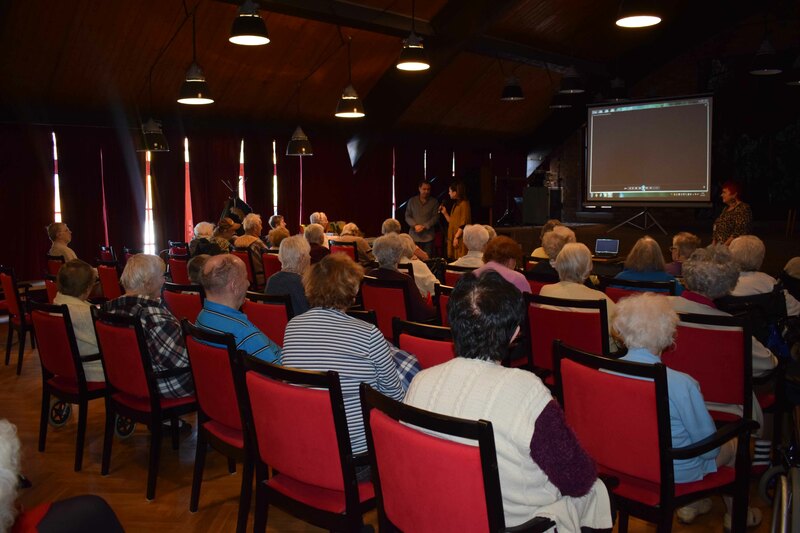 On the 8th of February 2019, Integration Centre Prague started a series of INTEGRA campaign events by organizing a Czech-Arabian intercultural afternoon in a retirement home in Chodov, Prague. 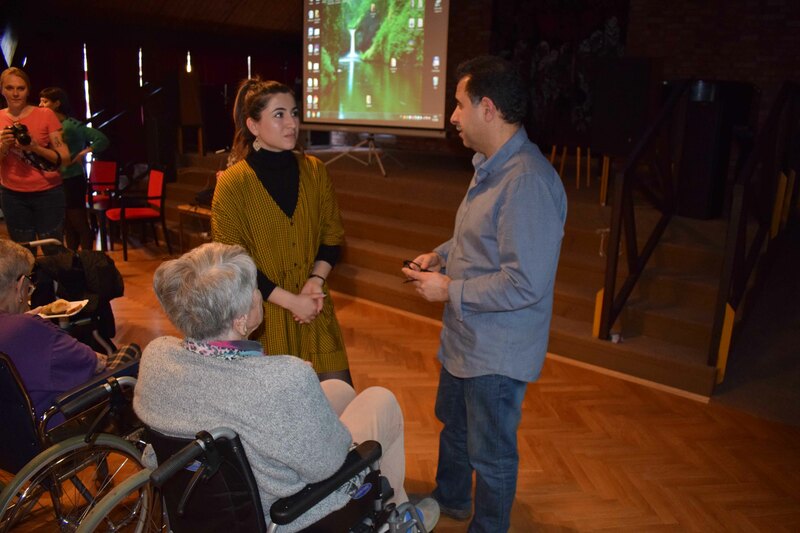 In the centre of attention was an Iraqi director Ahmed Al-Sabaiei, who introduced to the audience his documentary The Voices Come from Afar, which he made after he came as a refugee to the Czech Republic from Iraqi Baghdad. 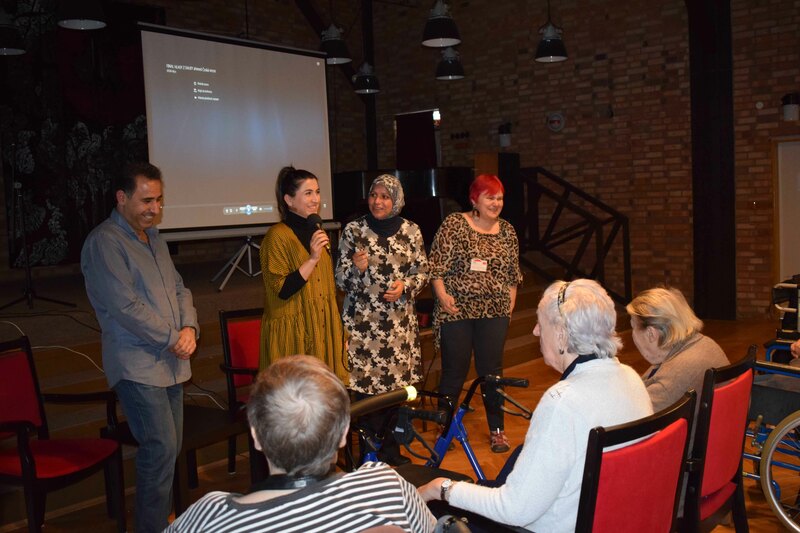 In the documentary, he presented an honest testimony of three significant representatives of the Czech cultural scene of Arabic origin, who have fallen in love with Prague that has become their new home. The artists are the writer and translator Charif Bahbouh, musician and teacher Marwan Alsolaiman, and an actor, musician and teacher Rachid Rahma. 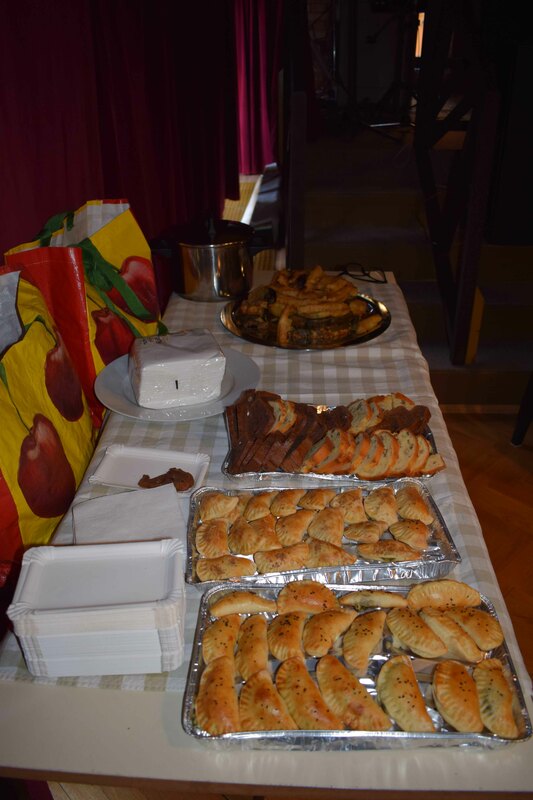 After the documentary screening, a discussion with the director took place along with tasting of Iraqi food prepared by Ahmed´s wife, who also participated in the event. The event was a great success and the director had to promise the audience, that once his second film is ready, he will visit them again. On February 6th, Integration Centre Prague launched an online campaign introducing the 4 infographic posters created as a part of the INTEGRA project. The printed version of the posters was introduced to the public in January and was subsequently distributed to various Prague NGOs, public offices and other institutions. 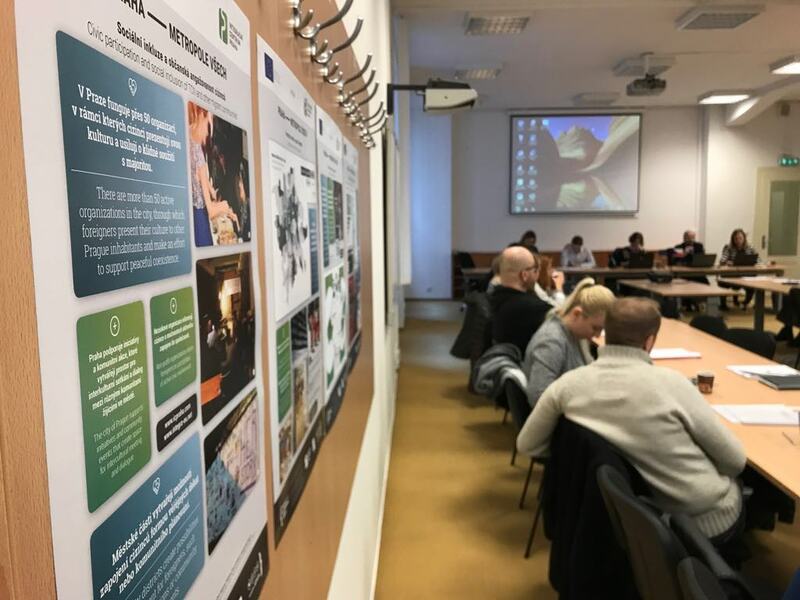 On February 5th, the posters were further promoted and disseminated to Prague integration actors, including city officials, at the 34th Regional Advisory Platform organized by ICP. The posters cover the 4 main topics of the INTEGRA Prague city audit, which was carried out as a part of the INEGRA project throughout 2018, namely City vision and Services, Civic participation and social inclusion of TCN, Urban environment and safety, Attitudes towards foreigners, and Mutual relations between TCN and majority population. The main aim of the posters is to raise awareness of the wide public about the presence and integration of foreigners in Prague. They inform about the number of foreigners living in the city, their countries of origin, reasons for arrival, involvement in the society and distribution in the individual Prague districts. They further introduce the main integration actors in the city, explaining some of the ways/means they use to ensure a smooth integration process – something that benefits the whole society. Last but not least, the posters promote the information and communication channels used by the Prague municipality, namely the TCN-friendly city website Prague for All (www.metropolevsech.cz), the corresponding FB page, as well as the Praguer app developed by Integration Centre Prague to help foreigners with orientation in the city. All of the posters are both in Czech and English in order to ensure a bigger outreach. As for the online part of the infographic campaign, Integration Centre Prague tried to promote the posters mainly through their FB page. Besides promoting the posters as a whole, they focused on publishing specific infographics they contain, in order to bring more attention to selected issues and information. The FB posts have been very popular so far – the ones that have already been published have attracted considerable attention: 14 371 people were reached by the posts with 928 engagements, 44 shares and 167 likes. 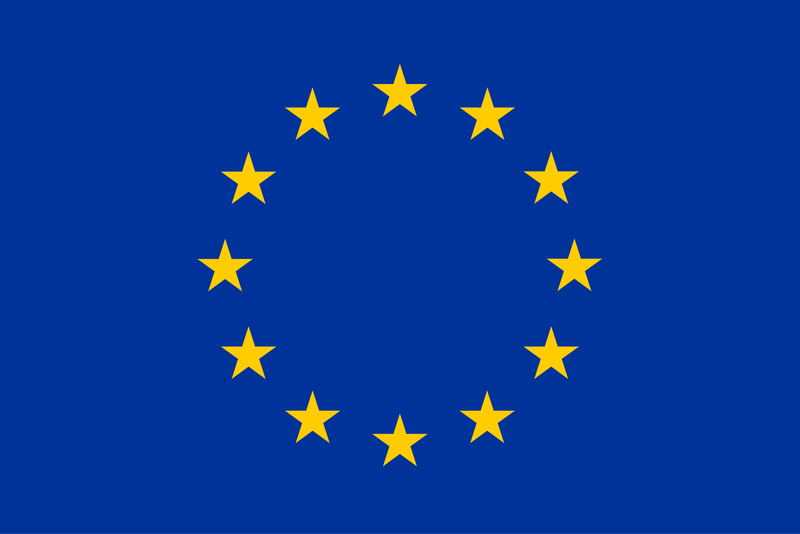 This part of the online campaign will keep running during the rest of March and continue in April 2019.